I know. It’s an oxymoron to be painfully numb. I understand that. But what you, the gentle reader who doesn’t walk on this journey, might not understand is that parents like me can be experiencing fear, exhaustion, heartache, and a wide range of other very heavy emotions, yet we can simultaneously feel quite numb. Perhaps it is our mind’s self-defense mechanism attempting to keep us from having that always-too-close of a nervous breakdown. Perhaps it is our body’s way of allowing us to continue physically caring for our child with serious medical needs and life-limiting illness. And perhaps, just perhaps, it is our soul’s innate response to protect itself from irreparable damage. Whatever it is, we continue on despite being, or maybe because of being, painfully numb. I stood there at his bedside watching, waiting, monitoring. It was 5am. After about 15 minutes I laid down on the other bed in the room…still watching, listening…and I was painfully numb. I am still painfully numb. We had 3 nights of respite and were only home yesterday. 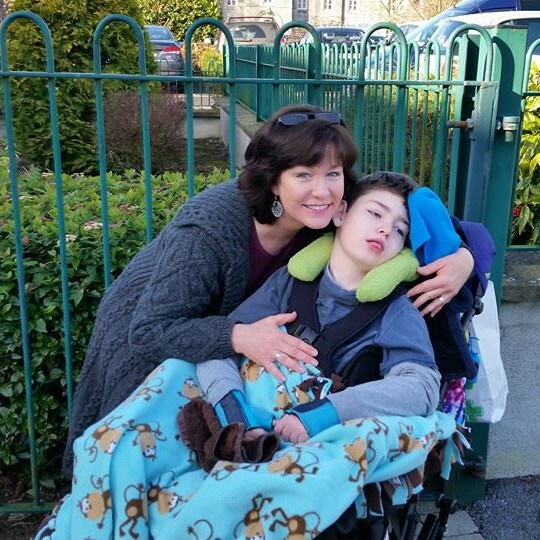 He had a large seizure while at the hospice two days ago, followed by a number of very short seizures since. And then this one early this morning. I sit here now at my laptop watching him on the video monitor. I am always watching. I am always listening. For this is what we do, parents on this journey. We are always on high alert, on guard, ready for life to change any second because we know all too well that life damn well can…and does. Is it no wonder our mind, body and soul try to protect us?